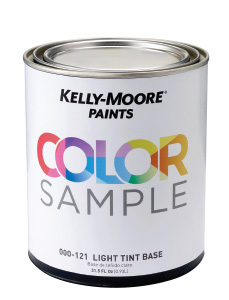 How to get a Free Quart of Kelly-Moore Paint “Color Sample” Paint? Click on the link to their website. Please complete all fields on the form below to receive your coupon for a Free Color Sample Quart. These offers are valid at Kelly-Moore Paints retail locations and may not be redeemed online. Please see coupons for details. By clicking the submit button, you agree that you are at least 18 years old. You also understand that you are signing up to receive special offers and promotional emails from Kelly-Moore Paints. You can opt-out anytime through the emails you receive.